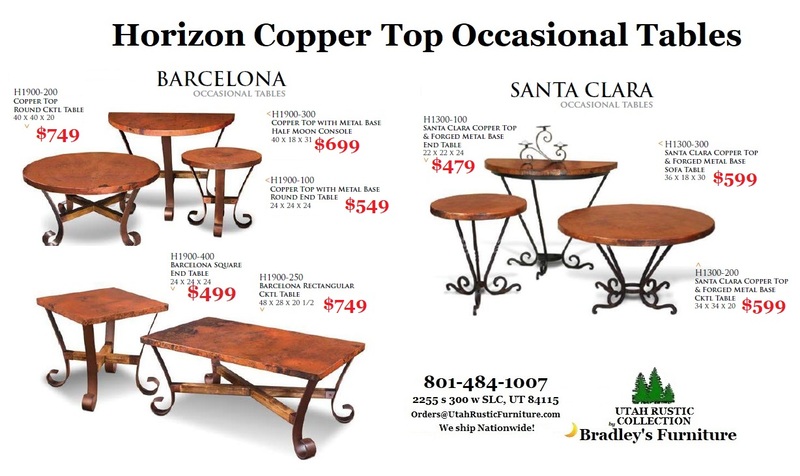 For many years, Artisan, Emerald, and Horizon have provided quality rustic occasional tables at an incredible value. These unique pieces are all of sturdy construction with many pieces featuring hand-forged copper and iron accents and are guaranteed to stand out in any home or cabin. We currently feature several of these sets on our showroom. Visit www.ArtisanHomeFurniture.com or see the entire 2018 Horizon PDF Catalog for additional style and size options! Antique Multicolor w/Red, White, and Blue Touches #968 - On Display Now! Mestler Signature Design Distressed Woods Collection #T580- On Display Now! Nartina Signature Design Distressed Woods Collection #T805- On Display Now!- On Display Now! - - On Display Now!On Display Now! Gavelston Signature Design Distressed Woods Collection #T732- On Display Now On Display Now! - - On Display Now!On Display Now! Castlegate Occasional Distressed Woods Collection #492- Dining Table on Display Now! 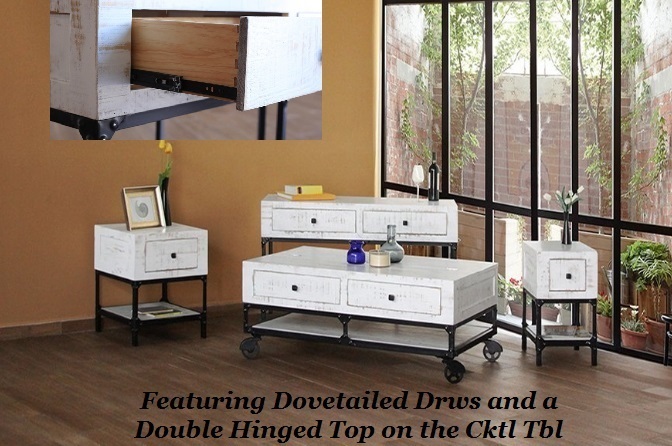 T753 McKenna Rustic Metal Panel Accents Occasional Collection - On Display Now! T382 Rafferty Rustic Metal Panels Occasional Collection - On Display Now! *All sizes are approximate and subject to change. Each of these pieces have natural variations due to hand applied finishes. Two pieces may not be the exact same shade, especially when ordering add on pieces at a later date. Please secure loose pieces to the wall to prevent injury. Call or email confirm exact dimensions if you have space constraints prior to placing any order:801-484-1007 Orders@UtahRusticFurniture.comy!